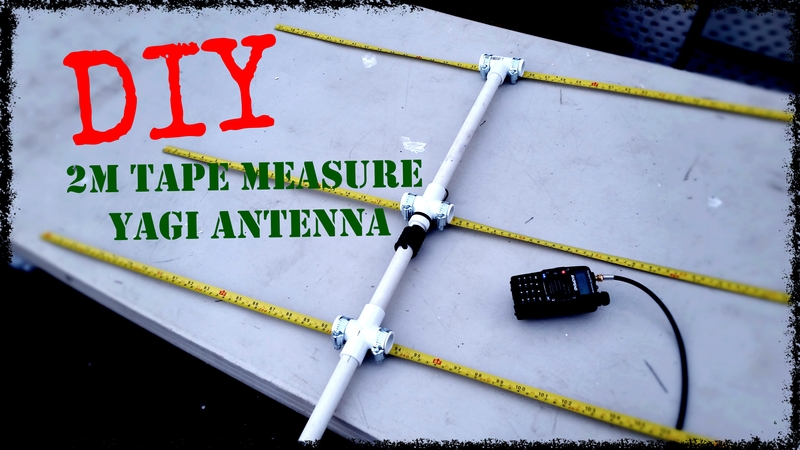 This is going to be a quick tutorial on how to build an inexpensive, but very effective Yagi Antenna for the 2m band. I am copying a design made by NT1K with a couple of changes. You can find his design here. 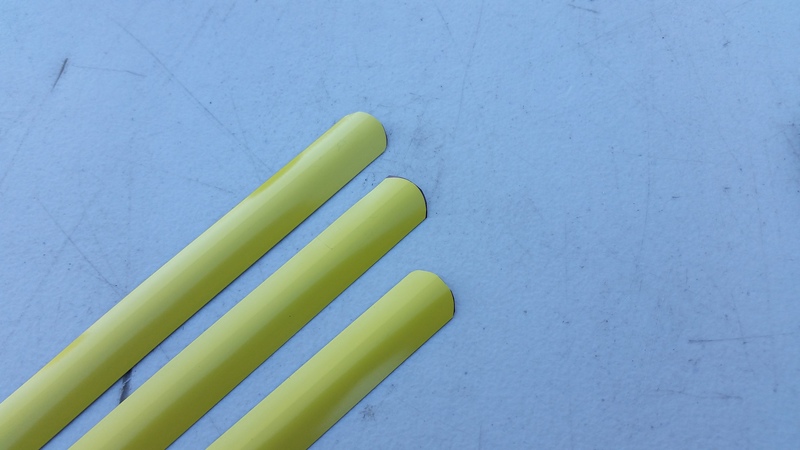 Start by cutting your PVC pipe into three lengths. Cut one piece into 5 inches, another into 7 inches, and the last piece into 11.5 inches. 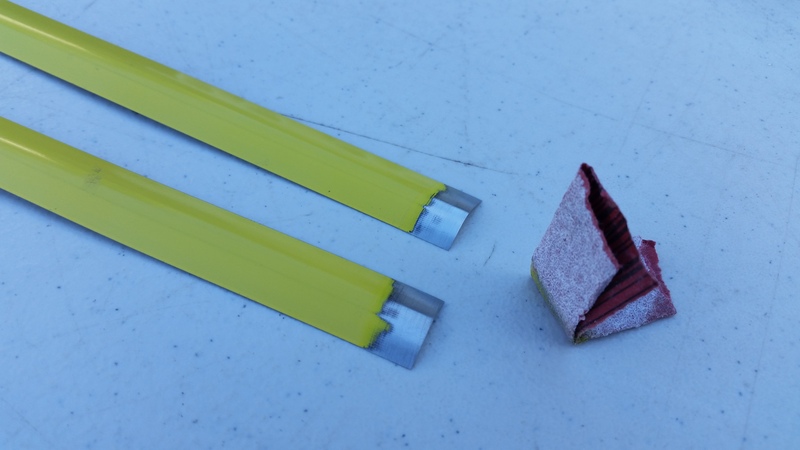 Cut your tape measure to length. The Reflector will be 41.37″ inches. The Director will be 35.12″ inches. 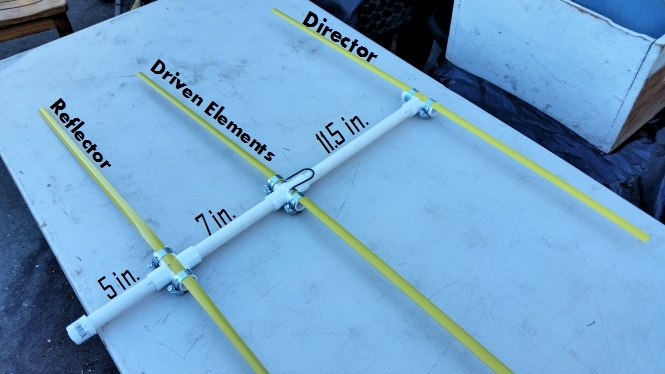 The Driven Element will be 17.75″ inches; you will need (2) pieces this length. For safety reasons, round off the edges of the tape measure to prevent injuries. Prepare the Driven Element for soldering by sanding off about 1/2 inch of the yellow coating on the tape measure. 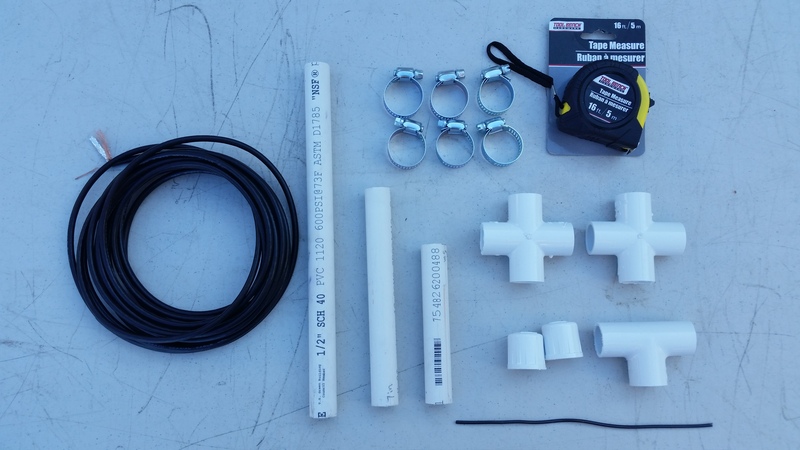 Assemble the PVC and all the fittings. This is where you will need a screwdriver to hold the Tape Measure in place. You can also use glue at this point to hold all of the fittings together. Solder your coax to the driven elements. As you can see, I added a zip tie to hold the coax in place. 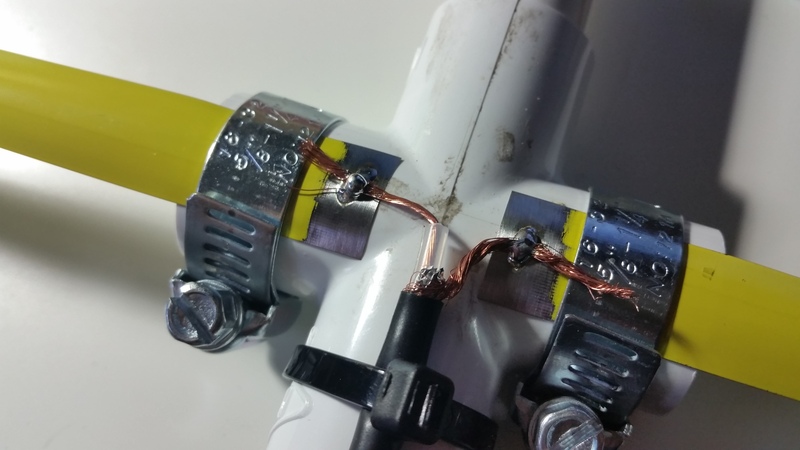 Grab your 5 inch piece of solid wire and bend it in half and solder it on top of the coax cable. Now your antenna is complete. I added a SMA female connector to the other side of the cable to fit my Baofeng UV-5RA. 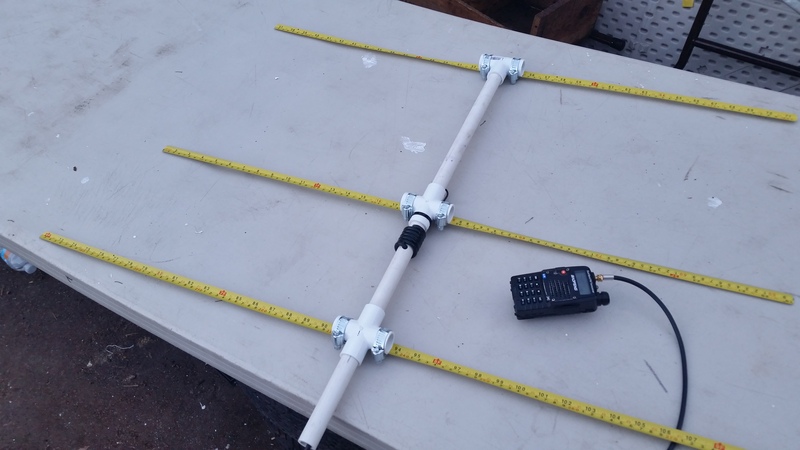 Here is the completed antenna. 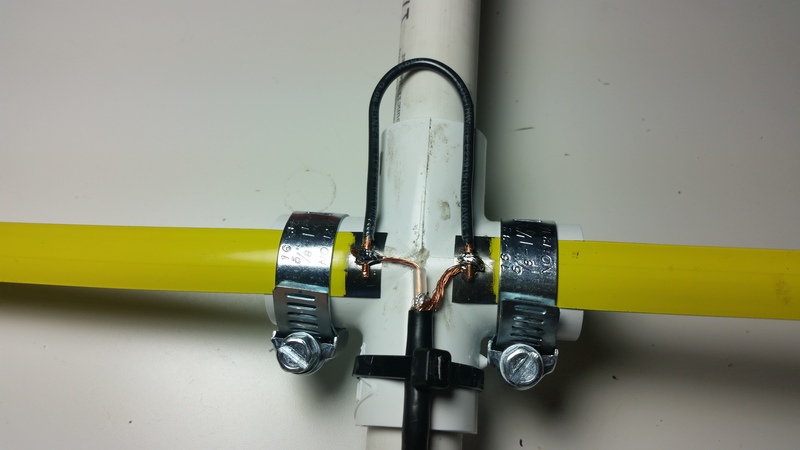 ****Note: I added a couple of turns on the coax around the PVC to act as a RF choke. Although, I have seen videos where they leave this step out and it seems to work just fine. I am adding a couple of cosmetic and ergonomic upgrades to this build so please come back to see my updated antenna. Its called a Hairpin Match, helps with impedance. Hi, I didnt understand step 7. Whats the purpose to connect the poles? To be honest I wouldn’t be able to tell you. I know that it’s called a match.